Ion Maiden is an excellent late '90s shooter with a modern twist. We’re barely two months into 2018, but I’m already going to shortlist Ion Maiden for the biggest surprise of the year. When I heard 3D Realms was back with a new game, I had lower-than-zero expectations—the publisher’s previous outing was 2016's Bombshell, which started life as an isometric Duke Nukem shooter-slash-Diablo hybrid, then (after some legal trouble) finished life as something much, much worse. Even if it’d run perfectly at release it would’ve amounted to a shrug at best, but it was so busted I literally couldn’t finish it. So...yeah. Not the best coattails to ride. And yet 3D Realms’s new game Ion Maiden ($20 on Steam) is fantastic so far. Simple maybe, and definitely riding on nostalgia, but I’ve had an excellent time with the Early Access “Preview Campaign” released last week. It’s billed as a prequel to Bombshell, and yet the two couldn’t be any more different. Where Bombshell was an action-RPG, Ion Maiden is a straight-up late-’90s shooter. 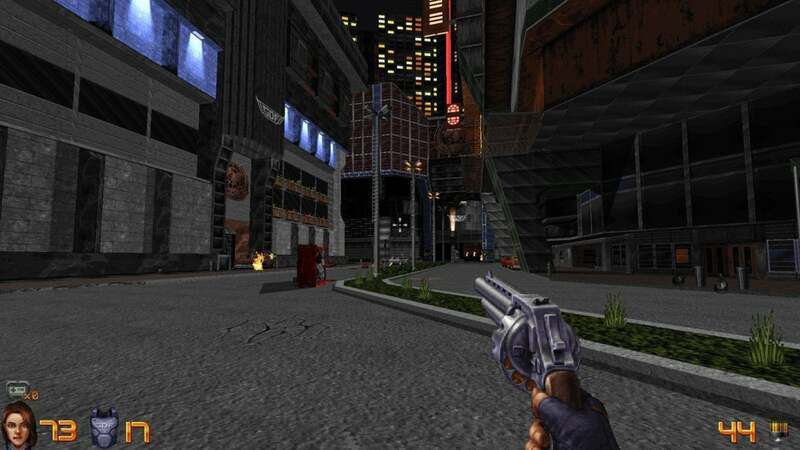 And not just a lookalike, either—Ion Maiden was built on the famed Build Engine, the same engine that powered Duke Nukem 3D, the original Shadow Warrior, Blood, and so on. 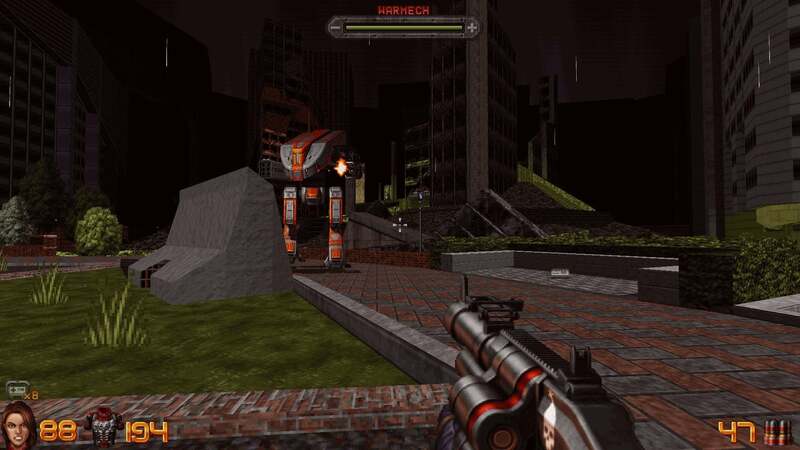 Think of it as “As Close To Duke Nukem As 3D Realms Could Get Without Being Sued,” essentially. A true spiritual successor. Perfect timing. 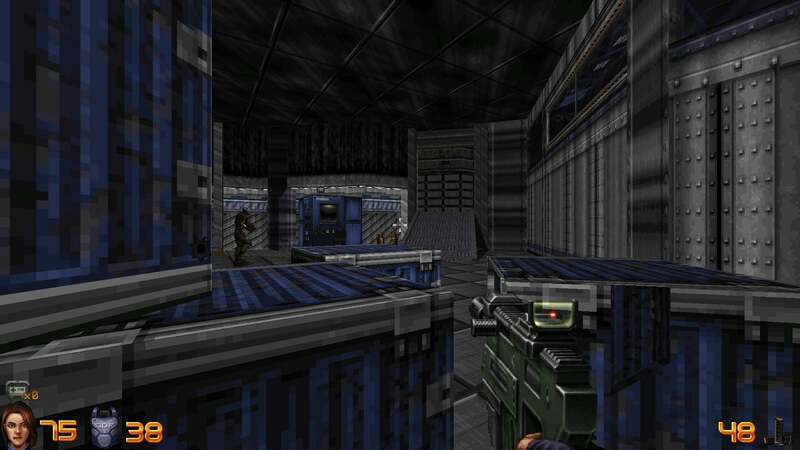 Nostalgia for ‘90s shooters is at an all-time high, a trend that started with the Rise of the Triad remake a few years back, continued through the Shadow Warrior and Doom reboots, and has reached a fever pitch lately with Strafe, Dusk, and so on. Ion Maiden leans into the genre tropes. You’ve got the classic low-poly level layouts, the surprisingly-detailed 2D sprites for basically everything else, the usual blood spatters and hidden secrets and big explosions. Oh, and one-liners of course. But as with Gearbox’s recent Duke Nukem 3D remaster, Ion Maiden looks better than it has any right to, and definitely better than the Build games of old. Everything is crisp, clean, and with a lot of nifty lighting tricks layered on top. It’s uncanny—the right style, but with a lot of tricks borrowed from modern engines too. The campaign as it currently stands is only one “zone” out of seven planned, but it’s a generous chunk of content. I spent over an hour playing and only found a fraction of the secret areas. It also takes you through a few different environments, from an army base to an office building to the sewers to a labyrinthine subway station. 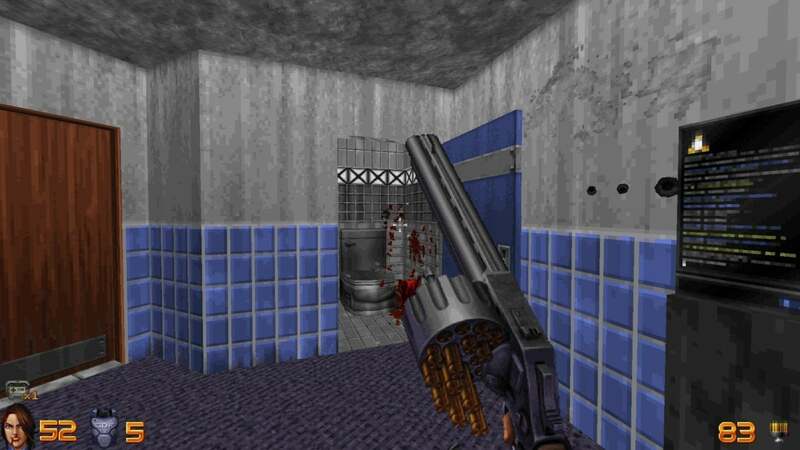 Classic ‘90s shooter environments, basically. Some familiarity with the subgenre probably goes a long way. Ion Maiden moves fast. There’s a lot of circle-strafing, a lot of hoovering up ammo and armor and health packs from every corner of every room. I found it a lot more forgiving than Duke 3D proper, but it still feels punishing compared to modern shooters and definitely encourages a different style of play. The style of level design is harder to slip back into. Duke 3D was less labyrinthine than predecessors like Doom and Wolfenstein 3D, but there are still times where you’d run around in circles for five minutes trying to find the next door. Ion Maiden carries that aspect forward too—I got lost at least twice, once for a good long while when I thought I’d found a way forward and then realized it was actually a shortcut back where I’d been. The corpses were the giveaway. Point being: It’s the kind of game where you shoot every vent, try to open every door, because occasionally that’s exactly what the game needs you to do to move forward. I don’t mind. As I said, Ion Maiden relies on nostalgia, and I’m somewhat nostalgic (or at least have patience for) those design tropes. Actually, I think it can add something to the game insofar as I love hunting down secret areas. My favorite in Ion Maiden came when I pressed the only bright-red book on a bookshelf and the nearby fireplace swung out to reveal a secret area behind. Great stuff. But will everyone have the patience? Will everyone take the good with the bad? Probably not. Those who do will love Ion Maiden though, I think. It’s an excellent example of the ‘90s shooter revival scene, and while there’s still a lot of work to be done I’m at least excited to see where it goes. More one liners are needed, more weapons and more enemies too, but it’s a solid proof-of-concept. And one hell of a surprise.